PARENT’S NIGHT OUT- KID’S LATE NIGHT PARTY!! 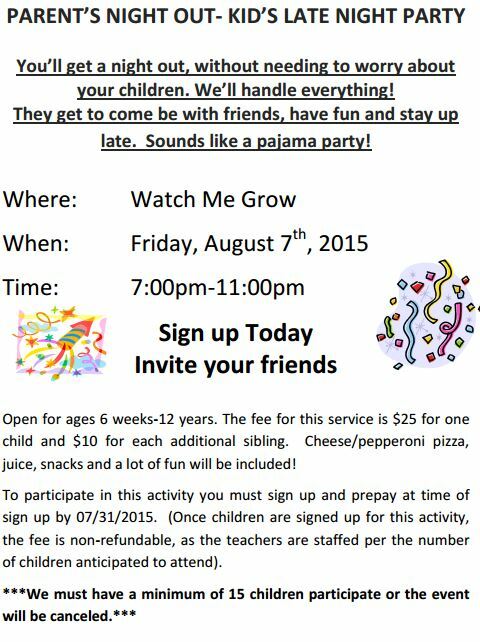 Join us on August 7th as Watch Me Grow provides a great night for the entire family! !